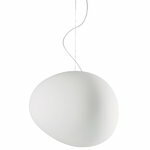 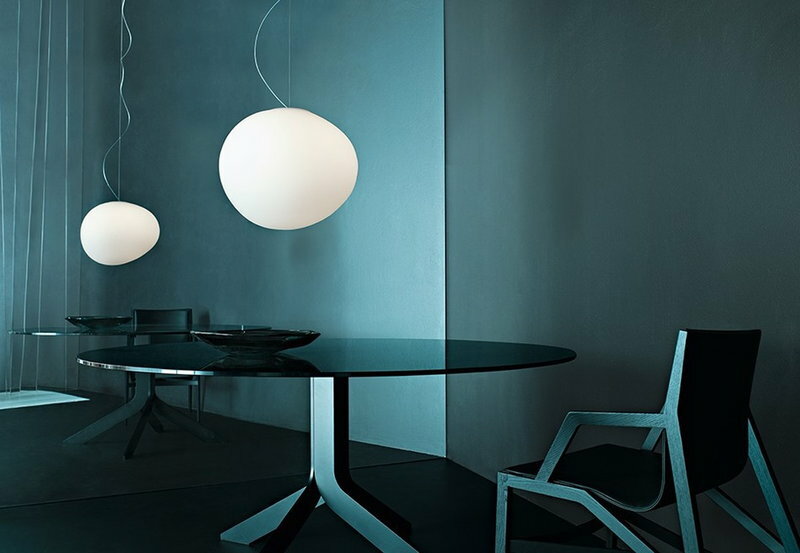 The Gregg from Foscarini and designed in the year 2007 by Ludovica and Roberto Palomba is a glowing, stone-shaped pendant lamp. 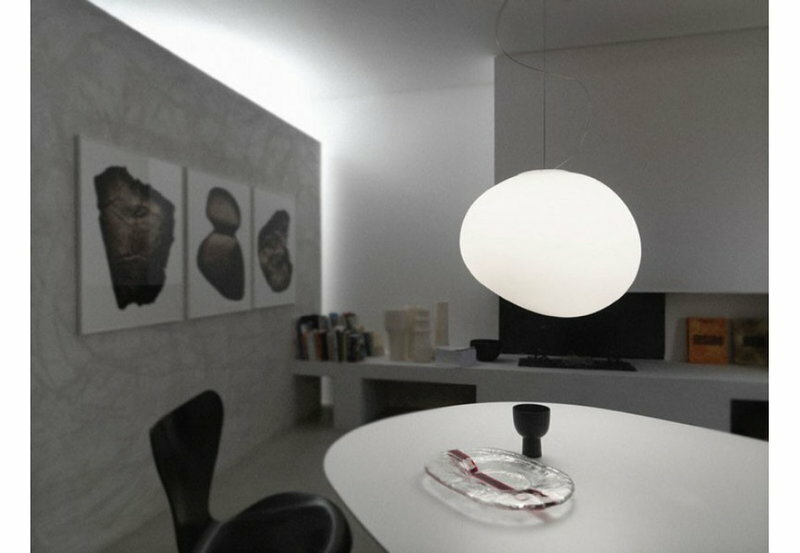 This pendant lamp doesn't use pure geometry. 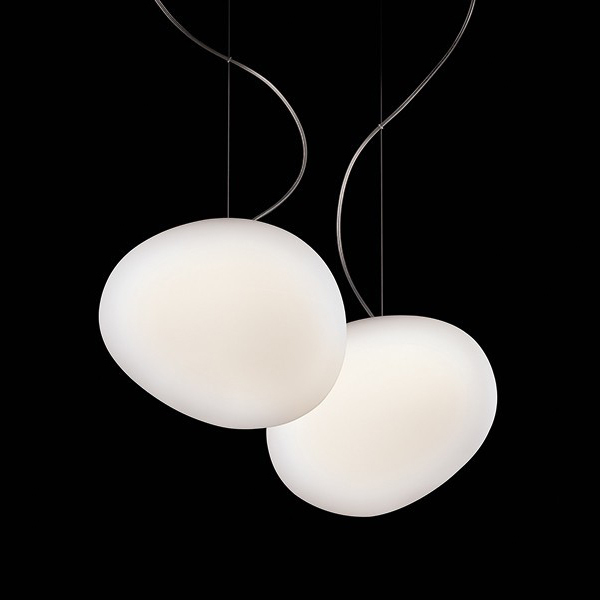 It is natural, recognizable and very easy to approach. The Gregg pendant lamp is free-blown satin glass and it is available in different sizes. It comes with a stainless steel suspension cable and a transparent electrical cable.